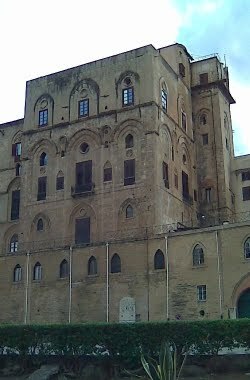 It isn't much to look at, from the outside, but the Pisan Tower is the highest part of Palermo's Norman Palace, and in the twelfth century it was Sicily's only "skyscraper." The Phoenician site beneath it dates to around 700 BC (BCE). The Norman kings established a state which existed, in one form or another, until 1861. That's when the newly-united Kingdom of "Italy" was established. The rulers and governments of this new state sought to erase as much "regional" history as they could. Fortunately, they were only partly successful. Our article on historical revisionism tells the story. What this means is that when you visit Sicily you can see the tangible legacy of real history, not just what Cavour, Crispi and Mussolini wanted you to see. If all of Italy's regions and cities shared an identical past, and were themselves identical, there'd be no reason to visit more than one of them. Happily, that's not the case. The Phoenicians, Greeks and Arabs are part of Sicily's story too. It's just one of three articles in our March magazine. The others deal with the more appetizing topic of food.